Reiki is a general balancing modality. It can effectively address both emotional stress and physical tension. A session of Reiki would include clearing and balancing the seven main energy centers or chakras (pronounced ‘chuckras‘ as in ‘Chuck’) of the body. 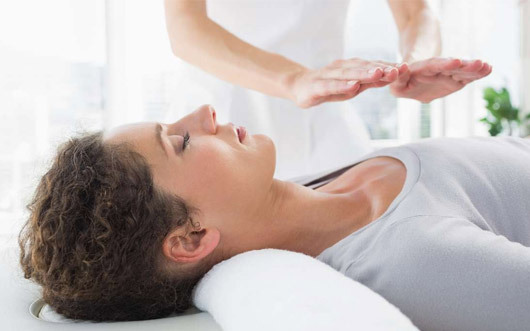 If you’re in general good health but find that you need some balancing with regard to something specific that comes up, a session of Reiki can bring you back into balance. The response to therapy will vary widely depending upon the individual and issue addressed. Minor issues may require only a session or two. Deeper, long standing issues will require more sessions. The sessions required may be weekly, biweekly or monthly. A recent condition may require fewer sessions, while more complex conditions or longer standing, chronic issues may require more sessions. ARE YOU OR YOUR LOVED ONES STRUGGLING WITH DIFFERENT HEALTH ISSUES? HAVE YOU BEEN FEELING STRESSED OUT, OUT OF SORTS, OR OFF BALANCE EMOTIONALLY? ARE YOU NEW TO ENERGY WORK OR DO YOU FEEL APPREHENSIVE ABOUT IT?